It’s wonderful to see so many bird-themed camps and activities offered over the summer for young birders. Some of the better known ones such as the Hog Island Audubon Camp, the ABA’s Camp Avocet, and Vent’s Camp Cascades have already reached full capacity, often just a few days after opening registration. Sometimes there isn’t much time to register for certain camps if you’re not quick enough on the draw. And then too some of the camps aren’t always located conveniently for families. I just found out about young birder camps being offered by the Bird Conservancy of the Rockies based in Colorado. BCR has two overnight camps for young birders this summer. Young birders will meet other like-minded naturalists, conduct mini-research projects, learn field journaling, field sketching, and bird and plant identification. 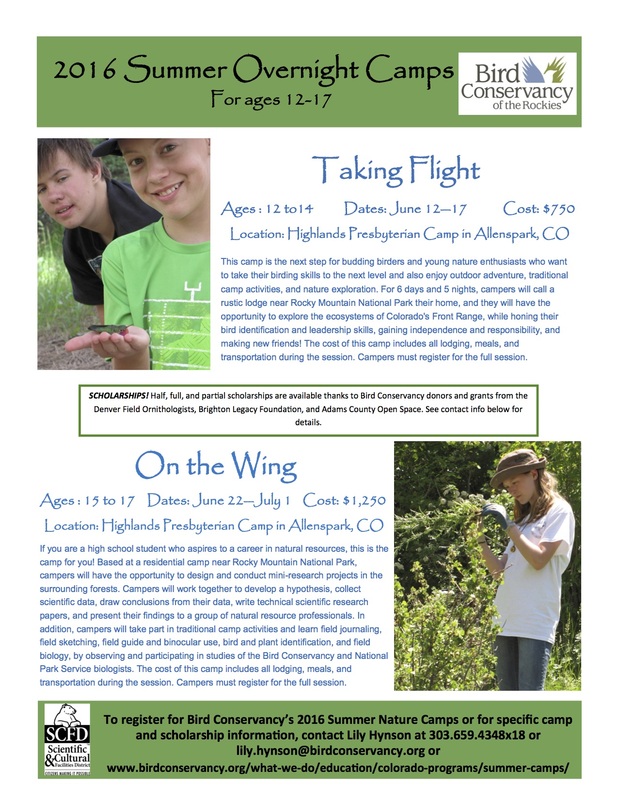 The first camp, “Taking Flight” is June 12th to the 17th, for 12- to 14-year-olds. The registration fee for “Taking Flight” is $750. The second camp, “On the Wing”, for 15- to 17-year-olds is June 22nd to July 1st. the registration fee for this camp is $1,250. Full, half, and partial scholarships are available for each camp, so be sure to ask when registering. The registration deadline for the camps is May 31st, and you can find more information about the camps and other programs hosted by the Bird Conservancy of the Rockies on their website. 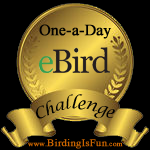 This entry was posted in Birding, Birding Trips, General Birding, Summer, Young Birders and tagged Bird Conservancy of the Rockies, Camps, Young Birder Camps, Young Birders. Bookmark the permalink.